Bangkok-based bus company Thai Sriram Transport has been in operation since 2009. Thai Sriram bus has built a good reputation for themselves with their overnight trips around the north and south side of Thailand. Travellers and local folks have been using Sriram bus services for many years and this form of transportation is especially useful since taking the bus is the most practical way to get around Thailand. We want to make it even easier for you when you book Thai Sriram bus tickets online by following a few simple steps over here at Easybook’s website. Tell us where you would like to go with Thai Sriram and we will do the rest for you. You can travel with Thai Sriram to various top destinations now under one roof without fussing to look everywhere. Some of the routes that is available with the company are Khaosan Road to the old city of Chiang Mai, as well as Bangkok to Koh Pha Ngan, Koh Samui or Pattaya. 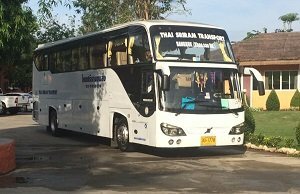 Sriram bus makes sure that you are provided with rides to some of the your favourite spots in Thailand and to be the best in tourist bus services. 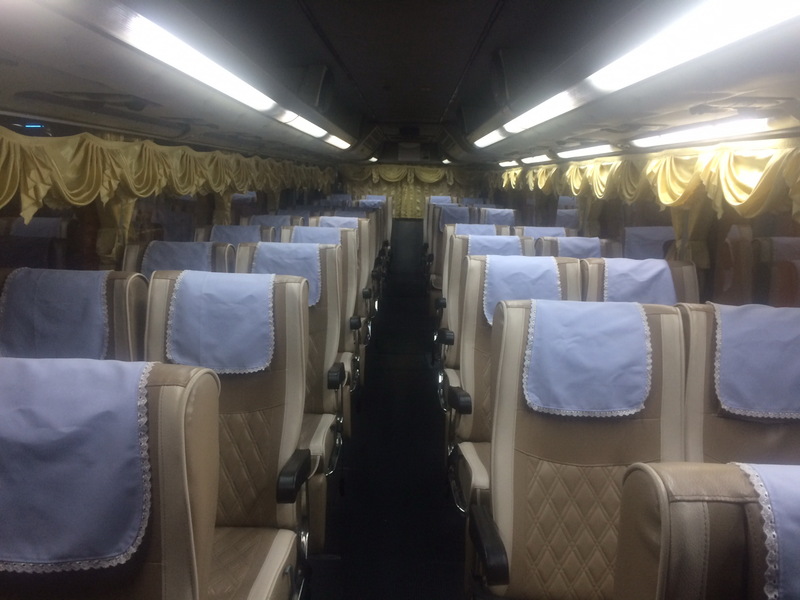 When riding with Thai Sriram, you will either be riding with the single deck of 36 seaters or double deck of 44 seaters that are both reliable and comfortable. Rest assured you will get to stay connected as Wi-Fi service is provided onboard so you wouldn’t have to miss a minute of what your family and friends are up to at home. You can find televisions on Sriram bus too as an added entertainment source when travelling with this company while you enjoy the comfortable seats and air-conditioning system during your journey. If you are taking the overnight bus, you will also find there are toilets onboard too. You will be given a complimentary snack box as part of the package when you book your bus ticket with Thai Sriram bus through Easybook. No need to leave your seat or queue up for tickets anymore. We here at Easybook wants you to have a non-stressful time when experiencing the Thai Sriram bus services. Whether you are planning to go Nong Nooch Tropical Botanical Garden at Pattaya or check out Tha Phae Gate at Chiang Mai, you can start the plan by booking your bus tickets online conveniently on Easybook’s website or through our mobile app and follow a few simple steps. Happy holidays!